After months of leaks, during which time it went from high-end to strictly mid-range, the Android 2.2-powered HTC Merge has finally been launched by the Taiwanese manufacturer. Said to hit "multiple North American carriers beginning in spring 2011," the QWERTY-equipped slider offers a 3.8-inch WVGA display and a five-megapixel camera with 720p video capture, although further specs were not immediately available. Merge also promises to be HTC's first Android-flavored CDMA world phone, meaning that it has a 3G GSM radio for operating overseas. First expected to be a Verizon exclusive, it now looks like Merge may instead be headed to a number of regional carriers, with Alltel being high on that list. While VZW may still pick up this Sense-infused phone, with the Thunderbolt and possibly the Incredible S/2 in its lineup at the same time, it may not want such an HTC-heavy Android portfolio. That being said, Motorola's Droid 2 Global and the LG Ally are Verizon's only two Android QWERTY sliders right now, so perhaps there's room for the Merge yet. 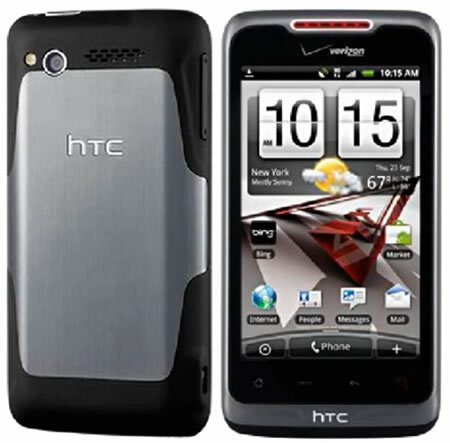 Click here to view our selling HTC cellphones.